Impressive dynamics, scathing lyrics, and artistic cohesiveness have accurately characterized Propagandhi in the past; the same applies here, on Propagandhi’s sixth full-length and Epitaph Records debut, but these characteristics are on such prominent display this time around that I can’t help but hail Failed States as the band’s best release. 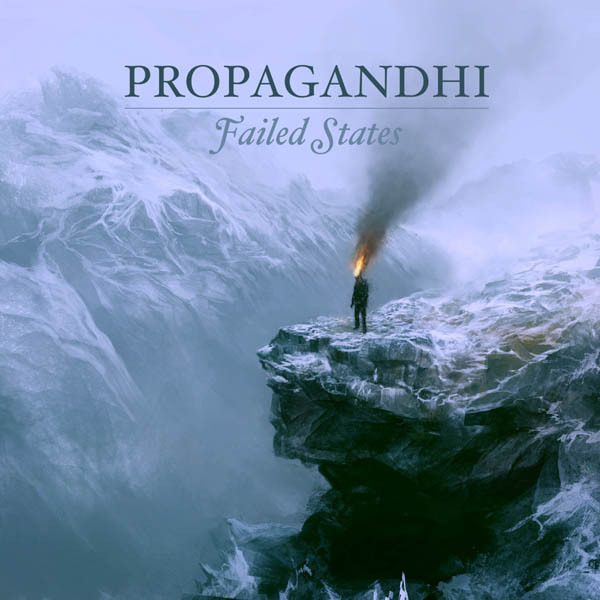 On Failed States, Propagandhi critiques subjects ranging from human nature to the often deafening effects of social media — some broad subjects, for sure, but their vitriol is just as passionately applied to specific current events. On “Rattan Cane,” bassist Todd Kowalski assumes the menacing voice of an Indonesian police officer as he, in his fascist act of “spiritual cleansing,” shaves the head of a young punk. The empowering “Cognitive Suicide,” meanwhile, addresses the degrading “gender verification” of Olympic track runner Caster Semenya in 2009. “Are they terrified of unobscured and brilliant colours?” asks Kowalksi. “Perhaps you cracked the door to their own forbidden worlds.” The song is annotated with additional words of encouragement for Semenya.